From head to toe in the World of Vanity – The Hair, Nail & Beauty Salon, Fuengirola. VANITY, The Hair, Nail and Beauty Salon provides a wide range of treatments, with extreme attention to detail and is highly service orientated to provide you with a treatment to remember. 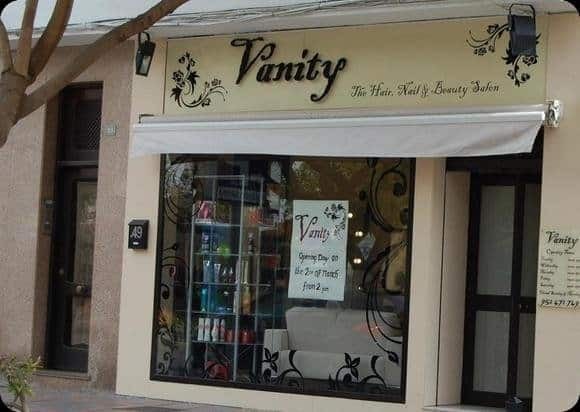 Vanity the hair, nail & beauty salon in the heart of Fuengirola, is situated on the main high street, Avenida Condes De San Isidro, opposite the Ayuntamiento . Vanity is owned and directed by Victoria O’Rourke, originally from Rochdale in the United Kingdom. She has finally achieved her dream of opening her own salon. As a qualified nail technician with over 15 years experience, she has always strive to be the best in what she does, this is why Victoria committed herself to making sure she selected a team of highly skilled stylists and beauticians to ensure her clients receive an exceptional experience at vanity. 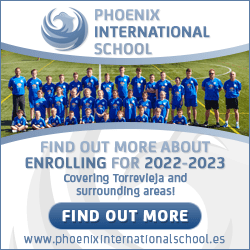 As a excellent people person, Victoria puts her clients at the heart of everything she does. The chic & classy salon Offers more than your average beauty salon, with a wide range of luxurious treatments at a price that you can afford. Ultrasonic slimming, Ultrasonic facials, chocolate body wraps, pamper days, pamper party’s, bridal packages, hot stone massages, Ella Baché facials, reflexology, men’s hair & beauty treatments, luxury foot spa treatments in massage chairs, Keratin hair repair treatment, Indian Remy hair extensions and much, much more. Victoria invites you to come and see her stunning salon and meet her team at Vanity. 1 hour’s free parking in the Plaza De Espana when you visit, so pop down for a complementary Cava and meet Victoria and the team. Please browse the updated Vanity website or our in-salon catalogue for more information on everything on offer. Of course, if you cannot see what you require then please ask and we would be happy to help as we try to cover everything From Head to Toe in the World of Vanity.